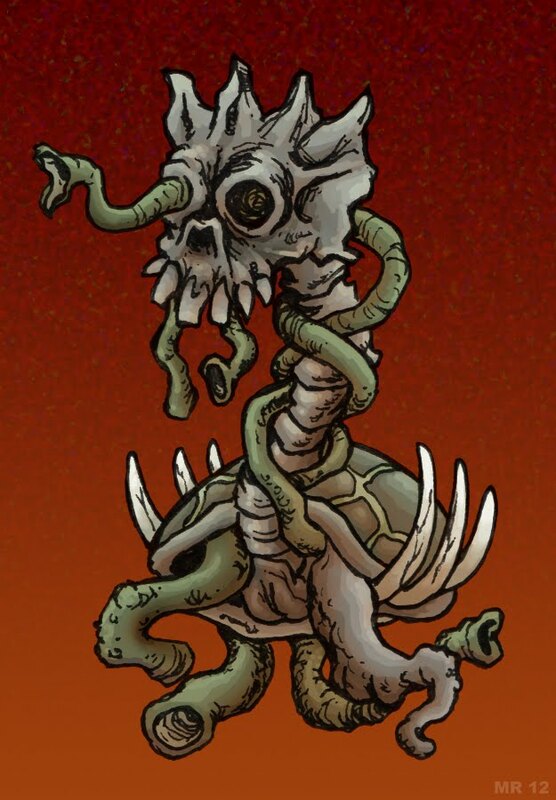 A Morticadeus is a necro-construct, an artificial creature pieced together from the enchanted parts of other dead things. As such they can be made in any number of shapes or configurations. They are utilized by powerful sorcerers to perform simple tasks, such as guarding a specific place or to retrieve an item.